At Walker there are many wonderful and exciting things that happen: dreams made, breakthroughs celebrated, awards announced, artwork and text delivered to cheers of delight. And there are moments that feel totally entrancing because you know THIS IS IT – a book idea shared that has the hairs on your arms raised within seconds, your inhaled breath stuck between your grinning mouth and about-to-explode chest, blood thumping in your ears and an ‘eeeeeeeeeeeeeeeee’ of excitement buzzing about you like a rogue honeybee. I’m a designer – a children’s book designer. And though I have never once said this to someone outside the biz and not been asked “Oh so you illustrate books, then?” (“No, but close,” tends to be my short answer) I think I have one of the most precious and privileged roles in the journey of a book – but of course I would say that! 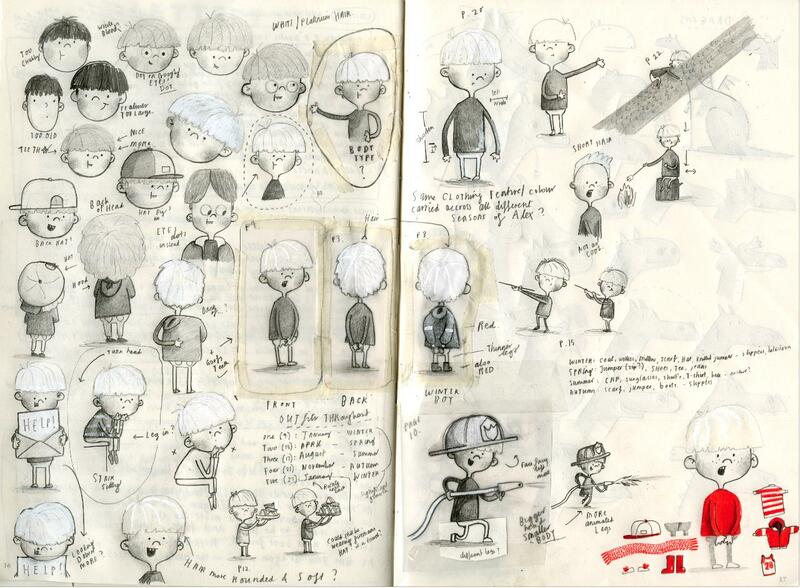 The basic gist, so that we’re all on the same page, is that a children’s book designer is the person who often sees the initial book idea come in and works with absolutely every aspect of the content, piecing it together in a digital form until it’s ready to leave the building to be printed. It’s a job to treasure. I won’t downplay the publishers and editors roles, as a picture book team is collaborative and needs lots of clever people involved. But of course the most important members of the team are the author and illustrator, and it’s they that We (the creative team) help along. Together, we consider everything about the book. The words, the right number of pages, the story arc, the best moments in the story to turn the page, whether to have images on a single page or across a double page spread, which fonts to use, the size of the font and where to place the text, character development and clarity of emotion, colour palettes, continuity and believability, all the way through to cover design. All the while encouraging the author-illustrator (one person or two) and working with them to develop and deliver the best work they can: empowering them with their vision and creation. 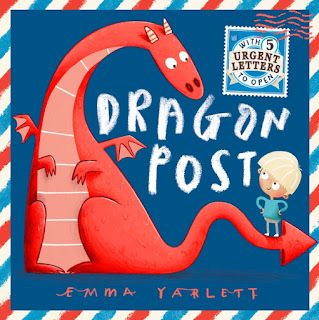 So … in February 2017, when Emma Yarlett, an extraordinarily talented author-illustrator, sat at our creative meeting table with a dummy book embossed with the words “Dragon Post”, We were excited. 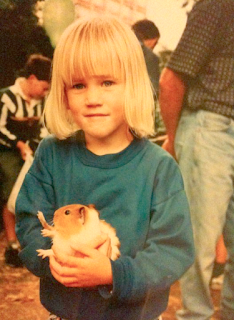 We had met Emma a few times already as I was desperate to find her a place on the Walker list. And although we had a few book ideas in development, Dragon Post was totally NEW! Denise, soon to be Emma’s editor and publisher, started reading the dummy and before she’d reached the last line of the book it was clear from the smiles on our faces: we had had the THIS IS IT moment. We were thrilled and Emma was over the moon that Dragon Post was going to be her first book published by Walker. We scheduled the book into Emma’s diary and soon after began work on the edits, reworkings, rough sketches and dummies of the story, to check that everything worked as well as possible before Emma started painting the artwork. The story of a boy who finds a dragon in his basement was inspired by Emma’s husband, who as a child was convinced there was a dragon living beneath his grandparent’s house in Battersea, south London. Emma developed the boy’s character visuals by drawing inspiration from 90s haircuts and old family photos – and decided to name the boy Alex after her husband. 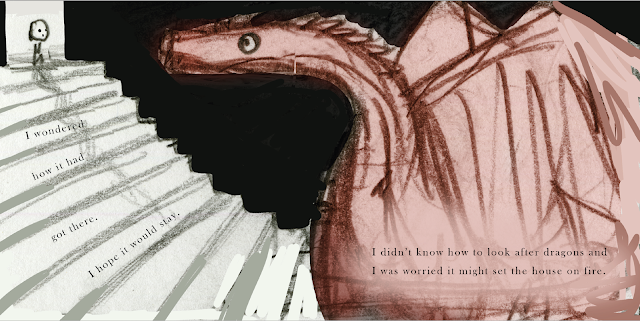 The dragon, who doesn’t speak in the book, also had a few different reincarnations. Emma worked hard to find a way of creating a character that embodied the right space on the page and conjured the imagination – a mythical beast that was misunderstood, and was both impressive and ultimately friendly. 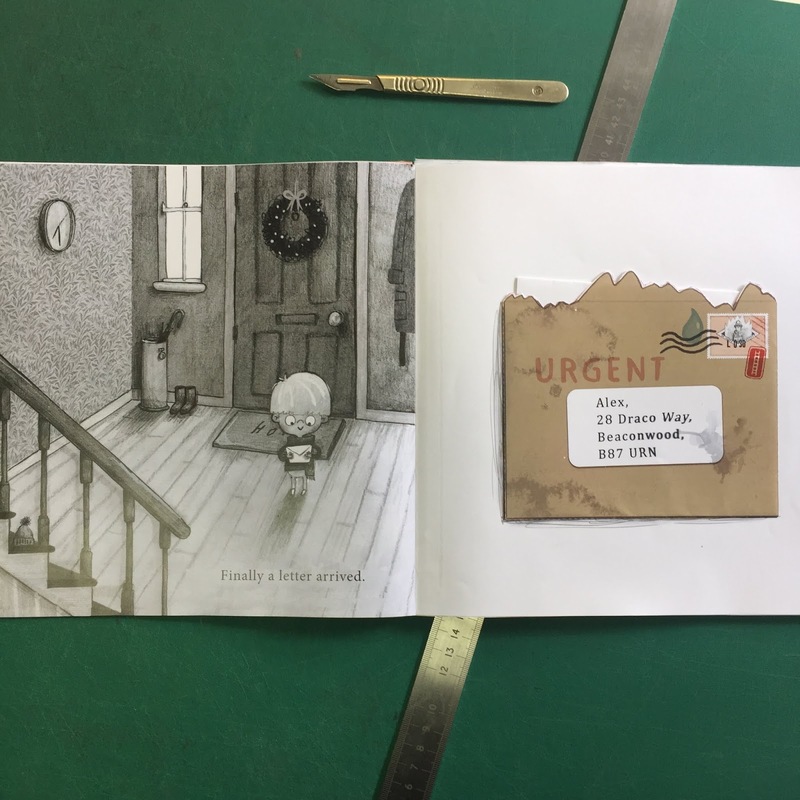 Following Emma’s genius, we helped her to create the “real-life letters” that the reader would be able to open and read as part of the story. 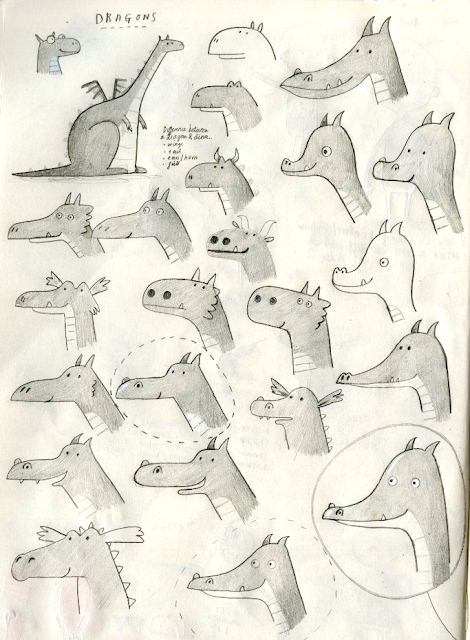 And we suggested making the dragon a neon pantone red – to give him extra zing and pizazz. By November 2017 Emma had delivered all of the art, had created all of the intricate letters, had painted a show-stopping cover, and had hand-lettered the entire book. 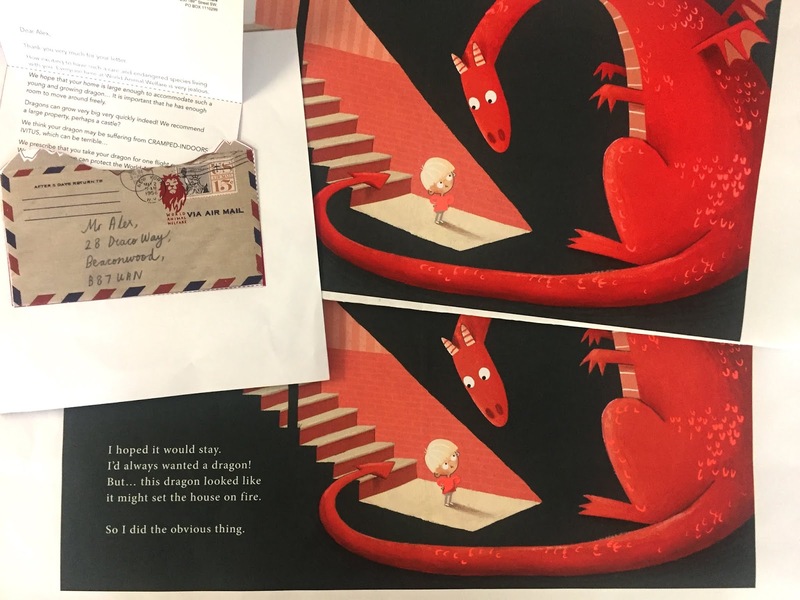 Then together, we added the pantone colouring to the dragon, and made the final touches, and just before Christmas we were ready to send this beautiful, funny, tear-jerking story to the printer. 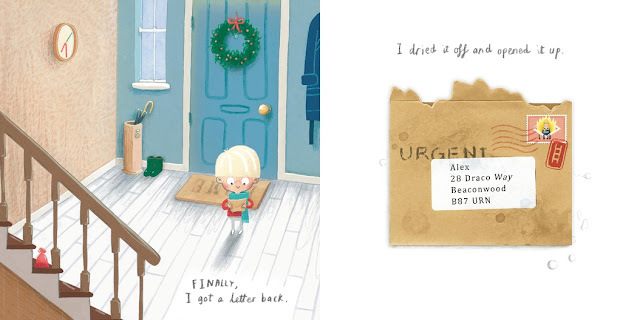 My job was done – and what a privilege to see a master picture book maker do her thing so, so well! Dragon Post will be published in the UK on October 4th. It has printed over 100,000 copies in its first print run and will be published in nine languages across the world. So we’re not the only ones to fall in love with this wonderful book!